If you have lost or broken your USB license key, Order your replacement here. Proton Compiler requires a License key, we ship one key when the product is purchased. If you loose the key, break the key or the key fails outside of the warranty period, you may order a replacement. The latest (currently shipping) USB key requires NO DRIVER and operates with all current version of Windows. If you are having difficulty with the USB key driver under Windows 8 or 10, you may purchase the new driverless key as an alternative. 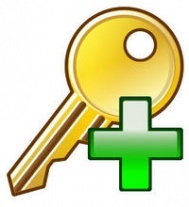 If you require a second key for a second installation, (maybe you ahve one instalation at work and one at home. Or one on your laptop and one on your desktop) order a second license key here. If you did NOT purchase Proton Compiler - maybe you have a hacked pirate copy - the key may not work.